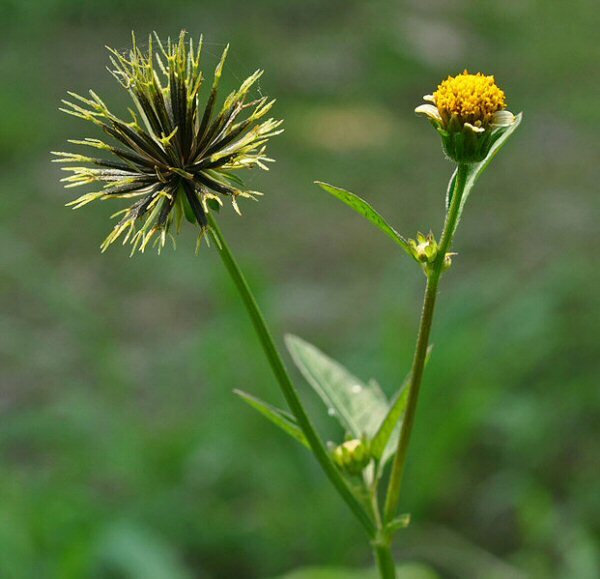 No gardener would ever invent Spanish Needle (Bidens pilosa). This weed is so invasive, it's not even funny. The yard next door to me is taken over by it, and it spread into my yard from there. The seeds cling to your clothes and you carry them everywhere with you. Broadleaf weed killers won't touch established plants, and larger older plants take several applications of Roundup to die. Doesn't matter, because it will leave 100 seedlings in its wake. There are good things about Spanish Needle, but not enough to justify having it in your yard, especially since it grows in abundance in weedy areas. 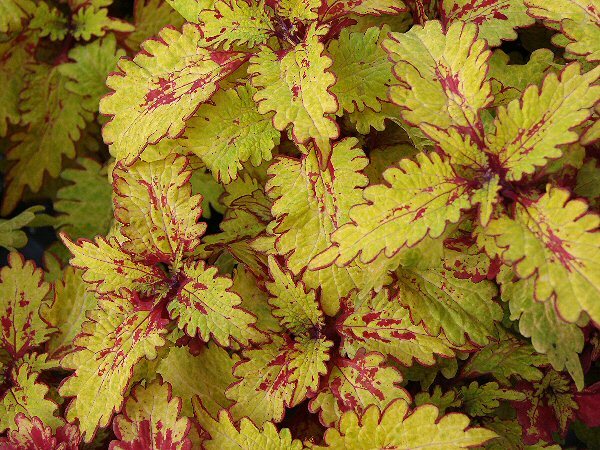 The tender young leaves are edible as a pot herb. They don't taste very good, but if you're starving, you won't ever die in the Florida wilderness as long as you have a way to cook it. It takes quite a while to gather enough for even one helping, though. Butterflies and bees love the flowers. In fact, I almost let some grow in a back corner of my yard once because of this, but decided against it. The very existence of this horrid weed proves to me that God is not all powerful and perfect. He makes mistakes, and then he tries to fix them by letting things such as Monsanto and Roundup come into being. Nope, there cannot be a God. Nobody is that stupid.